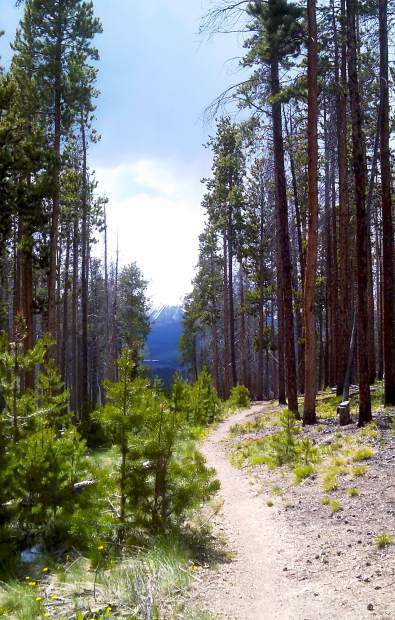 The Oro Grande Trail takes early-season hikers through meadows, evergreens and aspen stands on the southern face of Tenderfoot Mountain outside of Dillon. 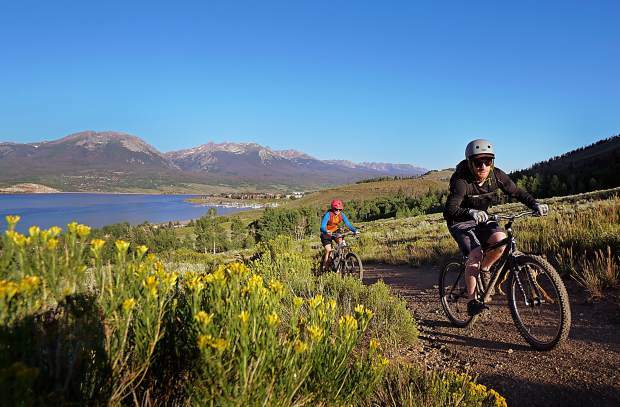 The Oro Grande mountain bike trail with views of Lake Dillon in Dillon, Colorado. 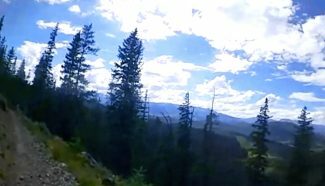 Views of Buffalo Mountain from the Oro Grande mountain bike trail in Dillon, Colorado. 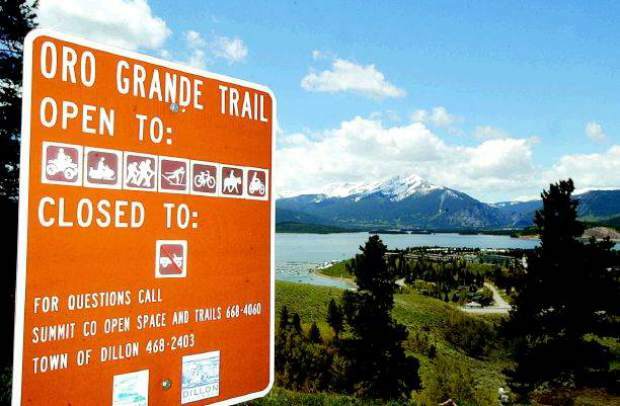 The Oro Grande trail is shared by many recreationalists and offers outstanding views of Dillon Reservoir, the Tenmile and Gore Ranges. 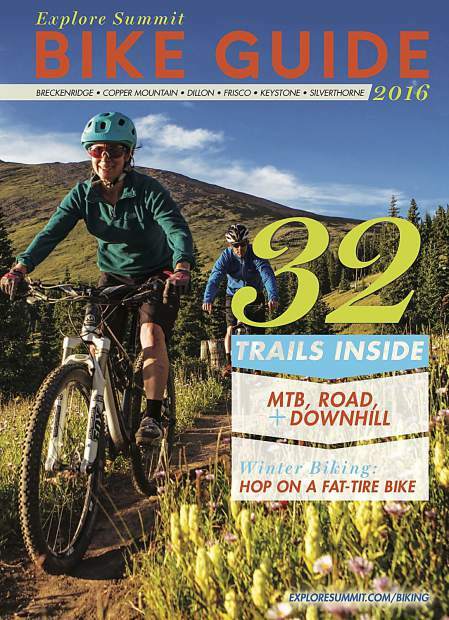 The Oro Grande is one of the few singletrack trails dry enough to use early in the summer. The entrance to Oro Grande trail, found off Lake Dillon Drive above an old municipal water tank. 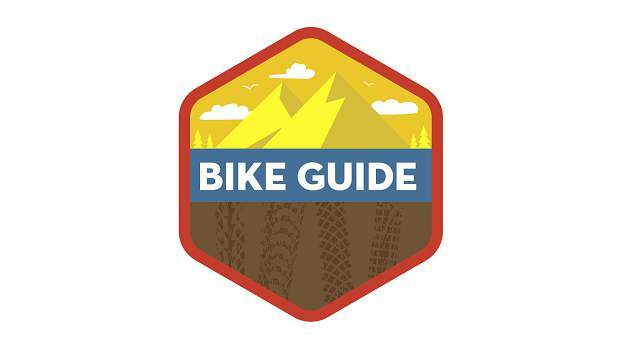 SUMMIT COUNTY — Known as one of the first local mountain biking trails ready to ride in May, the Oro Grande Trail is a solid early-season riding option for anyone who just needs to pedal after a long, snowy winter. 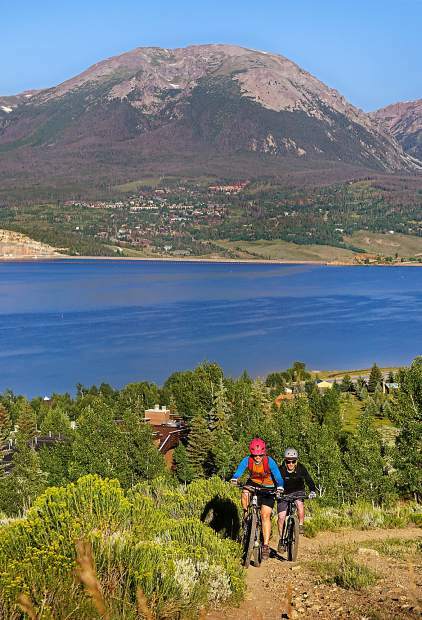 Following an aspen-covered hillside above Lake Dillon, this ride offers panoramic views of both the Tenmile and the Gore ranges. 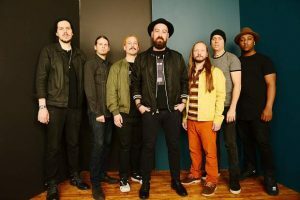 It’s also in a prime location for riding on your lunch break or immediately after work, though it tends to get a bit packed on weekends thanks to the connected Dillon disc golf course and a nearby pump track. 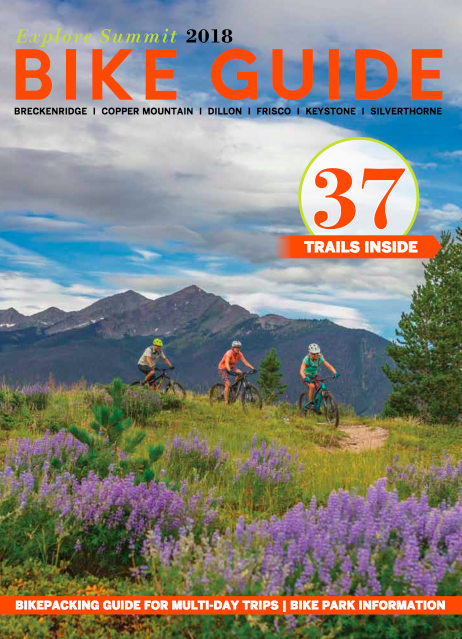 Unlike Frisco Peninsula — things out there are still pretty sloppy after a mid-may blizzard brought two feet to the county — the route’s mix of doubletrack and singletrack is dry, hard and ready for ripping in most places. Ride up the dirt road and turn right immediately. Follow this fork past the water facility building on the right and up into the trees. Pass Tenderfoot Trail on the left. The road meanders through open meadows and stands of aspen as it crosses several hills. 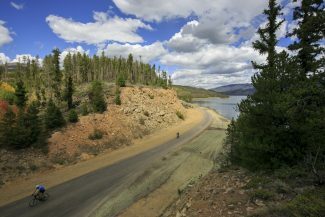 Just beyond a fence, at about 2.1 miles, you’ll come to a four-way junction and an open area (also home to the Lake Dillon Disc Golf Course). To do a 4-mile loop, turn right and descend to Cemetery Road or return the way you came. Continue straight for the longer ride and climb, passing under power lines as you veer left and pass a couple of side roads surrounding the motocross track. The main road remains obvious as it climbs more, then descends to a wood fence and three-way junction at 2.8 miles. Continue straight, passing through the fence onto a road that becomes more of a trail. 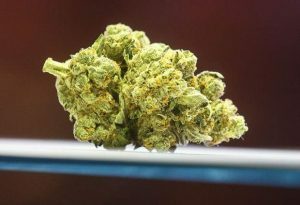 Veer left near a large berm and climb through a sagebrush hillside. 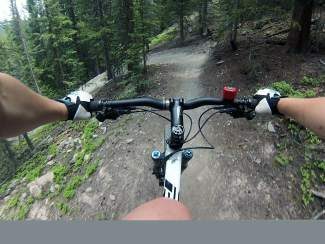 Pedal across a steep slope and swing sharply left above the landfill and Summit County Shooting Range. 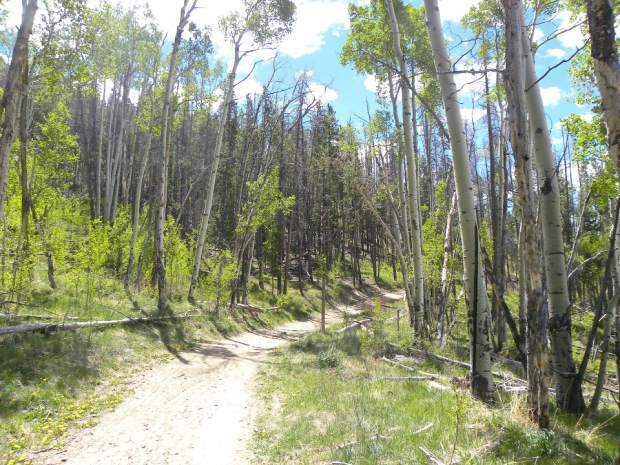 Climb through the trees and descend to connect with a main dirt road at 3.9 miles. 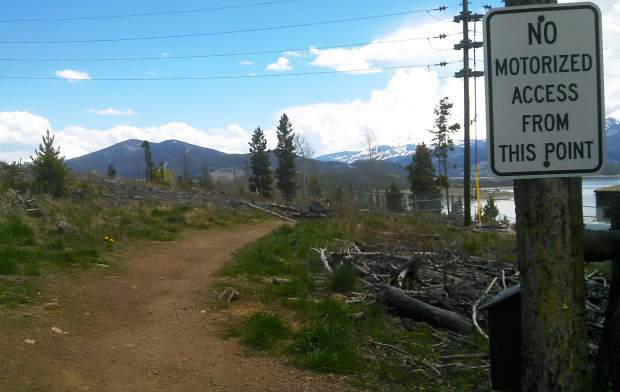 From this point you can either return as you came, continue onto Frey Gulch or connect with the paved recpath for a loop back to Dillon or rolling ride to Keystone. 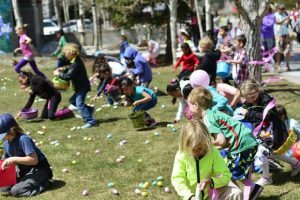 From Interstate 70, drive east on Highway 6 to Dillon. Turn left on Lake Dillon Drive at the stoplight. Take an immediate right and follow the road that parallels the highway, turns to dirt and passes a water tank. 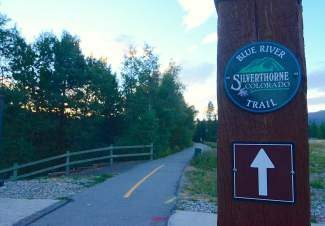 Park in the pullout on the right by the Tenderfoot Trail sign.